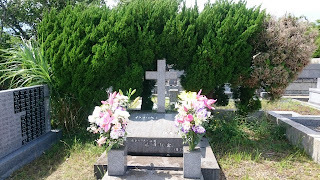 Day 2: Visited our church's grave for the first time in long while. My mother-in-law passed away on June 1 11 years ago, so I chose this day to visit the place. The grave is located in a cemetery in the suburbs, and the church's lot is on top of a hill. Very few people were there, so I could enjoy peaceful time with nice breeze and sound of birds. Day 3: A day to catch up with my house chores and to drop my car at the garage for a check-up required by the law. Day 4: I took part in a practice session of Argentine folklore dance. I took some lessons from late March to April, and I'm still not sure if I really love to dance. Now that I started with it, I think I should do some more till I can dance more naturally and decide if I really like it or not then. I could also come to know some women whom I've only seen but haven't spoken to till now. These are nice people to be around, and I plan to join their sessions again in the near future. Day 5: Went to gym for Pilates and myofascial release lessons before picking up my car. Day 6: Went to gym again for a yoga class.